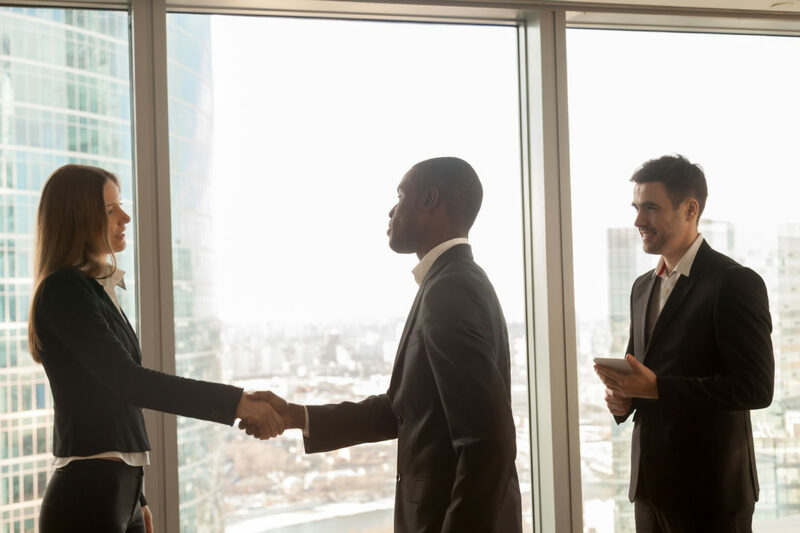 Whether you are starting out on your first corporate venture, preparing for another round of investments, selling your company or winding it up, LGP Solicitors can help. Our corporate team specialises in advising small and medium-sized enterprises on a wide range of issues and works closely with tax advisers and accountants to ensure the best outcome for you. We provide clear and straightforward advice and will take the time to explain any legal terminology and legal risks involved, so that you are always informed, up-to-date and in control. We will work with you to ensure that an appropriate balance is taken between the legal risks and the commercial context. LGP can incorporate a new company, provide board minutes, share certificates and statutory registers as required. Depending on the corporate structure, you may also require tailored Articles of Association and member resolutions to adopt these. Companies are required to file a number of forms at Companies House and we can complete and file these for you. We also offer a company secretarial service, which covers, amongst other things, dealing with the relatively new concept of “persons with significant control” (“PSC”s”) and the registers and consents needed for this. Share rights, company decisions and structural changes are governed by Articles of Association. These can be as simple or complex as the particular company requires, subject to company law. They should be tailored according to your company’s equity set-up and long-terms aims, to ensure that the correct protection / flexibility is covered. Depending on the structure, you may also want to have a separate Shareholders’ Agreement. If your company does not already have one or if you are just starting out with various shareholders, it may be sensible to have a Shareholders’ Agreement as well. This will set out where you all stand with one another in terms of control over the important business decisions, financial commitments, share transfers and allotments, ability to compete with the company, what happens if the majority shareholders want to sell the entire share capital and disclosure of information. We also advise individuals or companies in relation to a exit strategies. Investments usually come in the form of a loan, a purchase of shares, a loan that could be converted into shares or a bit of each. Whichever method is chosen, you will need to document the arrangement. If the company and investors satisfy certain criteria, the investors in particular may be able to benefit from tax relief. LGP can also provide a confidentiality agreement and / or exclusivity agreement to bind the investors during the due diligence process, as well as the substantive loan documents. You may have been approached from someone interested in buying your company but you’re not sure whether to sell the shares or the assets, or you may already be very familiar the process and simply want LGP to complete the transaction as quickly as possible. We will adapt our service to suit your needs. Company sales and purchases usually begin with Heads of Terms, a Confidentiality Agreement and then a due diligence process, allowing the buyer to review the fine details and decide whether to proceed. We usually manage this process for either the seller or buyer in order to ensure that the appropriate questions are asked or the responses are accurate and well presented, in order to represent the seller professionally and avoid disputes later on. Once the buyer is comfortable, their solicitor will produce a draft Share Purchase Agreement (if you are selling shares) or a Business / Asset Purchase Agreement (if your company is selling its assets). We will explain this to you, take your instructions on any clauses of concern or uncertainty, and negotiate it on your behalf. We will also discuss any financial clauses with your accountant. The Purchase Agreement (whether for shares for assets) is likely to include several pages of warranties, which are statements of fact as at completion (usually). If these are not true at that time, the buyer may have a right of action against you after completion. In order to minimise the risk in relation to these, we will prepare a Disclosure Letter and Bundle (based on the information you give us), include clauses to limit your liability and negotiate the warranties themselves. We will also prepare any ancillary documents, such as consent letters, assignment deeds, completion board minutes and written resolutions. The Articles of Association and / or Shareholders’ Agreement may need to be changed to fit the buyer’s situation. If there are several warrantors, it may be advisable to put a Contribution Agreement in place to set out who will pay how much if there is a successful claim for breach of warranty. If you are involved in an asset purchase, you will need to be advised on the Transfer of Undertakings (Protection of Employment) Regulations 2006 as amended (“TUPE”), which protect employees during this process. Depending on what changes, if any, are to be made in relation to the employees, there are strict information and consultation requirements on the outgoing and incoming employer and a failure to comply with these will trigger financial penalties. There are also election and other requirements that need to be factored in as well. Throughout the process, we explain the clauses and risks involved, keep you up-to-date and take your instructions on what’s important to you. Each client’s priorities are different and, once we have advised you on your options, we will act according to your specific requirements. Particularly if a buyer does not have sufficient funds to pay for a share purchase, it may be sensible to consider a buyback out of distributable profit. This is where the company buys the shares from the seller and the shares are then cancelled. It is a relatively straight-forward process but is heavily restricted by legislation and must be done in accordance with that. We would also need the accountants to confirm in writing that there is sufficient distributable profit for the purchase. The process for individual share transfers (of existing shares) or allotments (of new shares) is similar to that for a sale or purchase of the entire share capital, although there is often less due diligence and fewer warranties as the buyers / subscribers are often already involved in the business. For a share allotment, a Subscription Agreement is generally used instead of a Purchase Agreement, the Companies House forms are different and the member consents may be different, but the context and preparation is substantially the same. Companies and groups may need restructuring from time to time, for tax, accountancy or legal reasons. This may involve transferring employees (under TUPE), property, debt and or shares. Whatever the reason and whatever the change, we can advise you on the legal implications and steer you through the process. If your organisation is entering into a joint venture, you may need advice as to whether to simply contract with the other entity or whether to form a joint venture company. Either way, LGP can help. We can advise on the difference, prepare or review the corporate and / or commercial agreements.